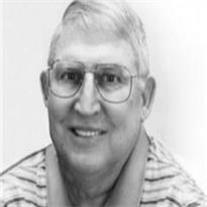 John Wesley Watson 72, passed away January 23, 2010 in Casa Grande, AZ. He was born in Phoenix, AZ on 1-1-1938. He loved his work of 35 years for the Mesa Public Schools as a teacher & student counselor. He also spent his life serving others through his church callings. He was preceded in death by his father Wes Watson. He is survived by and will be greatly missed by his wife of 47 years, Janelle, three sons, Reed (Becky), Kevin (Jane) Paul (Becky) & 11 wonderful grandchildren. Also, his mother Vera Watson, two sisters Sandra Cooper, Sue Williams, and one brother Tom Watson. Visitation will be held Wed. Jan. 27, 2010 from 6-8 PM at Bunker’s Garden Chapel, 33 N. Centennial Way, Mesa. Services will be Thu. Jan. 28th at10:00 am, preceded by a visitation at 9:00 AM at the LDS church building, 787 E. Kortsen, Casa Grande, AZ.